Volvo is launching new DRIVe versions of its new S60 and V60 models which offer sub-120g/km CO2 emissions thanks to efficient 1.6-litre diesel engines. Fitted with a six-speed manual gearbox and with engine stop/start technology, the models average a claimed 65.7mpg and 62.8mpg respectively. Prices for the low emissions models start at £23,495 on the road for the S60 DRIVe ES and it should be an attractive choice for company car drivers. For the S60 DRIVe ES, drivers will pay just £52 a month for 20% tax payers and £58 a month for the V60 DRIVe ES. 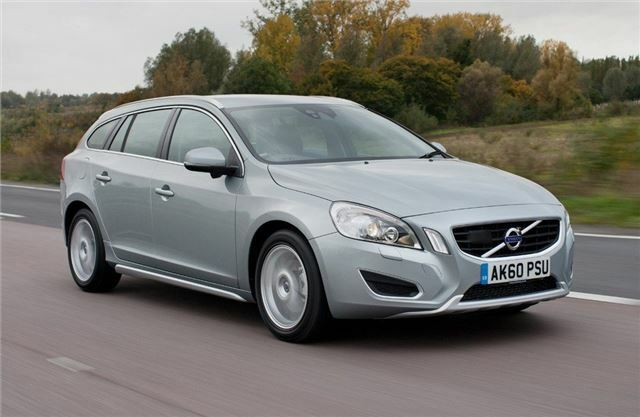 Leasing rates for both the S60 DRIVe and V60 DRIVe start at £279 a month. Thanks to the low emissions levels, 114g/km of CO2 for the S60 and 119g/km of CO2 for the V60, annual VED is just £30 and there is no first year tax either. Production of the S60 DRIVe and V60 DRIVe will begin at the end of February with customer vehicles expecting to be delivered in April 2011. The Volvo S60 and V60 were launched in 2010 and both models have recently benefited from the R-Design treatment with restyled bumpers, chassis dynamics and interior enhancements. All engines, including the new DRIVe 1.6 litre diesel are available in R-Design specification. The S60 and V60 are available from £22,495 and £23,670 on the road, respectively, with a wide range of diesels and petrol engines, including the newly launched T3 with start/stop, T4 with start/stop and the T5. Those models already offering DRIVe versions include the London Congestion Charge beating C30, S40 and V50, along with the XC60 and XC70, while in spring 2011 the Volvo V70 DRIVe (119g/km) and Volvo S80 DRIVe (119g/km) will become available with the further-enhanced Euro V diesel engine. This means that drivers will have a choice of nine DRIVe models, of which seven produce CO2 emissions of under 120g/km and three below 100g/km.